There’s a difference between gambling and taking a reasonable risk. But how can investors draw that distinction? The line is especially blurry with clinical-stage drug companies. If a drug makes it through clinical trials and gets approved by the U.S. Food and Drug Administration (FDA), shareholders reap exponential gains. But if drug candidates don’t make it through the FDA gauntlet, the roll of the dice comes up snake eyes. In this context, let’s get informed answers about clinical-stage biotech Cara Therapeutics (NSDQ: CARA). This company has cannabis-based medicines in clinical trials. Is CARA a smart bet or dangerous play? Below, we weigh the pros and cons of Cara Therapeutics and examine the odds of the company hitting the jack pot. Cara Therapeutics has promising drugs in various stages of development. Cara’s expertise lies in developing drugs for problems with the body’s peripheral nervous system and immune cells. Its top candidate right now is Korsuva, a Phase III clinical trial injection for people with a kidney-associated disorder called pruritus and who are undergoing hemodialysis. Korsuva also is in a Phase II/III clinical trial for dialysis patients suffering from uremic pruritus. Oral Korsuva has finished a Phase I clinical trial for the same disease, but using pills instead of injections. It has a Phase I clinical trial to treat pruritus chronic kidney disease, and a Phase I trial for pruritus chronic liver disease. Korsuva also is in a Phase III trial for post-op pain, and the oral version is in a Phase II trial for chronic pain. How Has Cara Stock Performed? What Is Cara’s Stock History? Over the past 12 months, Cara shares have gained 23.2% whereas the S&P 500 has gained 1.4% (see chart). How Has Cara Stock Performed in 2017/2018? Cara Therapeutics closed its initial public offering (IPO) on July 23, 2018. Since then, the stock has fallen 17.9% whereas the S&P 500 has fallen 2.7%. 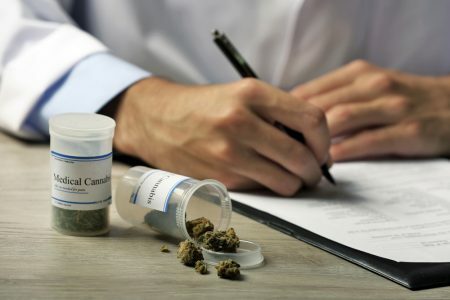 Cara has a major advantage in the marketplace, in that there are no approved therapies in the United States specifically for the conditions that the company is targeting. With conditions similar to this, for which biopharma companies have not yet developed therapies, the only real relief comes from antihistamines or corticosteroids. Japan is the only country that has an approved antipuritic drug and it is marketed by Toray industries (market cap: $11.8 billion). The drug is called Nalfurafine, marketed under the name Remitch. It is prescribed for patients using hemodialysis. But Remitch has a number of its own problems. It not only can cause itching but other adverse reactions that causes people to jump off the drug. The company (market cap: $15.5 billion) offers its products under the Tweed, Black Label, Spectrum Cannabis, DNA Genetics, Leafs By Snoop, Bedrocan Canada, CraftGrow, and Foria brand names. Cronos Group (market cap: $3.5 billion) grows and distributes weed and it’s making forays into medical marijuana development. With Cara Therapeutics you are playing with fire to a certain degree, because a clinical stage biopharmaceutical company has no guarantee of success. Most drugs fail and it takes millions of dollars for a drug to get approved by the FDA. Anything can happen to derail the clinical process. Cara’s drugs are mostly in Phase I or II, so success is quite a ways off. There will be days in which clinical trial data comes out and the stock will move dramatically up or down. Cara also has a problem because it is producing “orphan drugs,” that is, Cara does not have an extensive marketing and delivery infrastructure as Big Pharma firms do. Cara must find partnerships. The other impediment is whether the company can stay afloat long enough for its drugs to hit the market. That’s why so-called orphan drugs like these will often require a partnership with another firm that already has marketing infrastructure in place. That takes us to the major argument for Cara being undervalued. It does have a Korsuva distribution deal for Japan, South Korea, and elsewhere overseas but not in the U.S.
Fresenius (OTC: FSNUY) is a German company (market cap: $29.9 billion) that ponied up $50 million to Cara for this distribution deal, with up to an additional $470 million in milestone payments. The company also purchased a $20 million ownership stake in Cara, so it believes it will benefit both from distribution and the stock price. Not only that, but this deal is all for non-U.S. distribution. Once a U.S. distributor comes to the table, there’s more possible upside. CARA has no revenue; $50 million plus $92 million cash on hand means the company is worth $140 million right now. The market says it is worth another $490 million at the very least, an amount close to the milestone payments. Arguably, then, should the drug be approved internationally, Cara stock does not reflect the long-term potential. The bearish argument is grounded in the idea that the company is a major speculative play. While the Fresenius deal is a vote of confidence, as is its equity purchase, we simply don’t know how these clinical trials will play out. That means uncertainty, which means risk. Because the company is focused on just one type of disease, a failure in one treatment for the drug might create a cascade of clinical failures. That could literally send the stock to zero. The other big risk is that Cara has no drugs on the market and almost no revenue. So there’s no diversification here. Either it delivers or it dies. Fresenius didn’t put up hundreds of millions of dollars. It did put up $50 million, which is no small amount. But the big payoffs are in the clinical trial milestones, which might not occur. Our Cara prediction is that the stock will go nowhere for much of the year. Any movement it makes will be entirely as a result of clinical trial data, followed by either a U.S. distribution deal or… nothing. As with most clinical-stage biotechs, Cara is too risky. Adding to the risk is the company’s emphasis on cannabis-based treatments. Don’t get us wrong: medical marijuana is among the hottest growth opportunities that you’ll see in your lifetime. If you pick the right pot stock, you could reap stupendous gains. But that’s the key: picking the right stock. And Cara Therapeutics is not it.